There are numerous different trading strategies that you may choose to adopt as a Forex trader, and in the following guide we shall be looking at something known as Swing Trading. Swing Trading is a way of aiming to lock in profits over several days, as opposed to having a short term view of locking in profits as you would be using if for example you opted to place very short term trades such as 60 second trades. 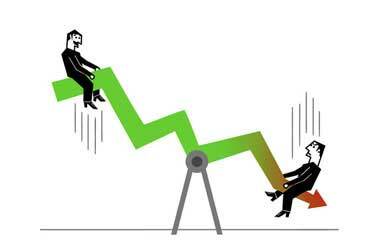 The ways in which a trader will use a Swing Trading strategy is to maximize their gains, over several days but by minimizing their risk by places much smaller valued trades on their currencies pairings, and slowly but surely take advance of even the smallest movements in currency values. However, it must be noted that is the timing of trades place when using a Swing Trading strategy that is the most important aspect of this way of trading, as you do need to time your trades to perfect by using a series of different tools. In the following guide we shall look at ways you can start to put into place your own unique type of Swing Trading strategy, and whilst it may take you some time to perfect this way of trading, it can be a very profitable way, over the long term, to secure continued profits on the money markets. One interesting aspect of using a Swing Trading strategy is that are you are only looking to make small minimum valued profit on a series of trades placed over several days, you are not necessarily going to need a large trading budget to adopt this type of strategy. You will therefore find that as a first time trader or one which does not want to have to risk large amounts of cash placing currency pairings this may be a strategy that will appeal to you. Whereas a trader using for example a Day Trading strategy is looking to make profits of around 5 to 10 percentage of their overall trading budget, you are going to be looking to make much smaller gains on each trade you place. So you can and will only need to aim to make a trading profits of one or two percentage of your overall trading budget when Swing Trading. Of course you will have lots of different currencies parings that you can pair up together when utilizing any trading strategy and this is the case with a Swing Trading strategy too. Before you place your trades you should allocate a day or a number of hours whereby you are actively seeking out information that is going to allow you to make a good and well thought out decision on the currencies you will be pairing up together. So make sure you are fully updated with financial news and information stories and date that is due to be released during the week which is going to have an instant affect on the value of any major currency. If you suspect that any one country is going to have some poor economic data officially announced then that will be the most likely countries currency that you will be looking to have on one side of your trade in the following week, and couple it up with a countries currency that is likely to remain strong or even gain in value in the coming days. A first time or inexperienced Forex trader is often going to be overwhelmed by the sheer number of forex trader bonuses they can make use of when they sign up to a Forex Broker and make an initial deposit into their newly opened real money trading account. However, whilst such bonuses are of course going to give you a much larger trading budget, you need to remember that you are going to be forced to have to place a certain volume of Forex trades with the bonus funds before they become real money funds. As you are going to be placing lots of trades over several days as a Swing Trader then bonuses may be useful in helping you secure a profit on your trades. However, be on the lookout for those on which you are only required to place a small volume of trades to turn your bonus funds into real money funds, as they offer the very best value for all Forex traders.